Warning: Android's Factory Reset tool doesn't wipes your data 100% !? 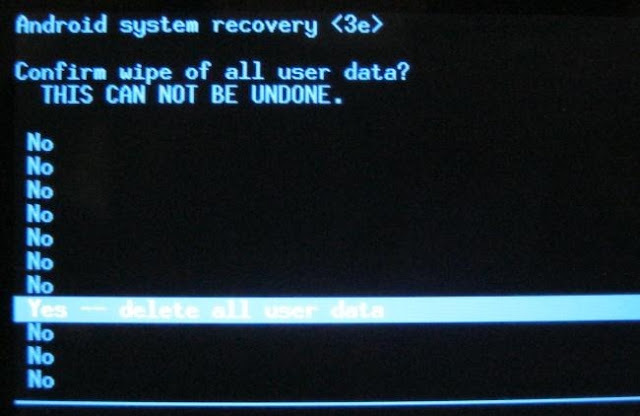 Topic: Warning: Android's Factory Reset tool doesn't wipes your data 100% !? It’s common sense to reset an Android phone to its factory state before selling or disposing of it. But beware, researchers recently found that this often fails to properly wipe all sensitive user data from the device. A test on 21 second-hand smartphones running Android versions between 2.3.x (Gingerbread) and 4.3 (Jelly Bean) revealed that it’s possible to recover emails, text messages, Google access tokens and other sensitive data after the factory reset function had been used. The devices included models from Samsung Electronics, HTC, LG Electronics, Motorola and three from Google’s Nexus line of phones. In 80 percent of cases the researchers managed to recover the Google master token that could allow an attacker to re-synchronize the device with the previous owner’s Google account, gaining access to the emails, contacts, Wi-Fi passwords and other data backed up to that account. In some cases they also recovered access tokens from apps such as Facebook, portions of emails, SMS messages and other instant messaging conversations. Encrypting the phone can help mitigate some of the risk, but not completely. The researchers found that in some cases an attacker could recover enough information after a factory reset operation to break the encryption key using brute-force techniques. In order to prevent this, it’s essential for phone owners to set a strong password when encrypting their phones, as 4-digit PINs are easy to crack. Based on their findings, the researchers estimate that up to 500 million devices may not properly erase the data partition where the OS and apps store credentials and up to 630 million may not sanitize the SD card where multimedia files such as photos and videos are typically saved. Their conclusion was that these apps do not represent an alternative to the flawed built-in factory reset, because they are limited by the OS architecture and APIs in what they can do. The only viable solution would be improvements to the data wiping mechanism made by the phone vendors themselves, the researchers said. It’s not clear if the factory reset function has been improved in Android versions newer than 4.3. Re: Warning: Android's Factory Reset tool doesn't wipes your data 100% !? I don't care that because I have Nokia's Lumia cellphone. I have had always Nokia's mobilephone. Actually nowadays it is Microsoft phone such as each it knows. . I don't still necessary likes about M$. Actually, Android's Factory Reset tool doesn't wipes android data 100%. And with pro android data recovery program, deleted data can be recovered. So in case of personal data leak, we'd better wipe android data by using android data eraser program, which can help you permanently delete your phone data. Who wants to load Androit program's elsewhere as from official sources, such as Samsung store or from Google Play?